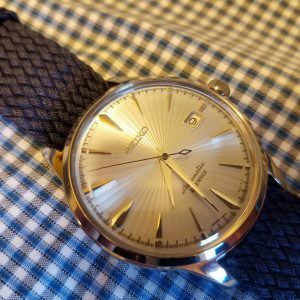 A perlon is a style of watch strap that dates back to the mid 20th century. It was invented by Eluit, a German watch strap maker. 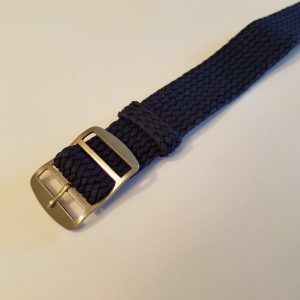 The Port Perlon is made from light, durable nylon, though instead of one strip of tightly-woven material it’s made from a braiding of little nylon loops. 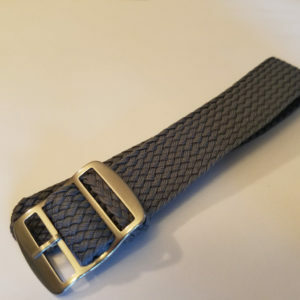 The strap has a myriad of perforations, which makes it more breathable than a solid counterpart and the texture inherent in its weave feels dressier than a standard nylon watch strap.